Conducts inspections, investigations, and tests to detect and control radiation hazards arising from the use of X-ray equipment, and ensures compliance with State, Federal, and County laws and regulations. Positions allocable to this class work under the technical and administrative supervision of aPrincipalRadiation Protection Specialist or the Head, RadiationControl in the Environmental Health Division of the Department of Public Health. Positions are responsible for the performance of routine assignments such as X-ray compliance inspections, accident and complaint investigations, and surveys. In addition, Radiation Protection Specialists prepare and disseminate information on radiation safety principles, regulations, standards, and methods; work with a variety of governmental and private entities to determine and obviate radiation hazards; prepare technical reports and correspondence, and other related duties of average difficulty and complexity. Positions utilize a variety of radiation meters, computers, counters, and test equipment while following established procedures and guidelines to determine compliance with governing State, Federal, and County regulations. Performs routine inspections of X-ray tubes at hospitals, clinics, mammography facilities, dental, and other medical facilities at specified intervals including measuring the accuracy of technical factors, alignment of collimators, proper use of grids, filters, and diaphragms, measuring and evaluating patient, operator, and public exposures, and other elements related to the safe and effective operation of equipment. Enforces State, Federal, and County laws regarding the manufacture, installation, and operation of X-ray equipment located in medical, dental, industrial, research, and academic facilities; enforces the State's certification law regarding licentiates, technologists, and technicians who use X-ray equipment. Utilizes a variety of radiation measuring instruments, test equipment, phantoms, and computers, following established procedures, to determine radiation safety practices, andcompliance with Federal, State, and County laws and regulations. Prepares written reports of inspection findings, including letters and Notices of Violations to users; follows-up on violations to assure timely and appropriate corrective action. Provides consultation and training to physicians, dentists, X-ray personnel, andthe public on proper practices, procedures, safety, and legal requirements in the use of radiation producing equipment. Measures the adequacy of shielding in walls, usingradiationdetection instruments. Responds to emergency situations involving radiation incidents. Assists in training new Radiation Protection Specialists. Completes special projects such as the Nationwide Evaluation of X-ray Trends (NEXT). Option I: Possession of a valid certificate* in diagnostic or therapeutic radiologic technology or nuclear medicine technology issued by the California State Department of Health Services/Pubic Healthor the American Registry of Radiologic Technologists - or- Possession of a health physics technology certificate* from an accredited two-year program -AND- Five years ofpaid experience in a medical radiology department, hospital, or public health agency operating or surveying the use of radiological equipment, providing advice on safe practices in radiationto ensure compliance with rules and regulations governing radiation use. Option II: A Bachelor's degree* from an accredited college or university with a major in radiologic health,radiologic science, radiologic technology, health physics, physics, engineering, mathematics, physical science, or a closely related field -AND- Two years of professional paid experience in health physics or a closely related field. A valid California Class C Driver License or the ability to utilize an alternative method of transportation when needed to carry out job related essential functions. 3- Moderate: Includes standing or walking most of the time, with bending, stooping, squatting, twisting, and reaching; including working on irregular surfaces, occasionally lifting objects weighting over 25 pounds, and frequent lifting of 10-25 pounds. - Certification by the American Board of Health Physics or the American College of Radiology in Medical Physics. - Experience working with various imaging modalities. - Experience working in a lead capacity in a radiology department. - Experience identifying radiation hazards. - Experience communicating with all levels of medical professional staff to identify and resolve issues. This examination will consist of an evaluation ofeducation, experience,and desirable qualificationsbased upon application information and supplemental questionnaire at the time of filingweighted 100%. Applicants must meet the Selection Requirements and mustachieve a passing score of 70% or higher onthe examination in order to beadded on the Eligible Register. Passing this examination and being added on the Eligible Register does not guarantee an offer of employment. Final results will be sent via United States Postal Service (USPS). Final Scores cannot be given over the phone or by e-mail. Notification letter(s) may be sent electronically to the e-mail address provided on the application. It is important that candidates provide a valid e-mail address. 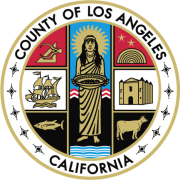 Please add vangarcia@ph.lacounty.gov to your e-mail address book and list of approved senders to prevent e-mail notifications from being filtered as spam/junk mail. Eligible Register in the order of their score group for a period of twelve (12) months following the date of eligibility, and may not reapply during this period. Complete applications will be processed on an as received basis and promulgated to the Eligible Register accordingly. Applications must be filed ONLINE ONLY. Applications submitted by U.S. mail, fax, or in person will NOT be accepted. Any required documents and/or additional information, if any, must be received with your application at the time of filing online or within fifteen (15) calendar days from application submission to vangarcia@ph.lacounty.gov . Apply online by clicking on the green "Apply" button located at the top right of this posting. You can also track the status of your application using this website. the SELECTION REQUIREMENTS. Fill out your application and supplemental questionnaire completely and correctly to receive full credit for any relevant education, training, and job experience you include. In the space provided for education, include the names and addresses of schools attended, dates attended, degree received, and degree major. For each job held, give the name and address of your employer, your job/position title, beginning and ending dates, number of hours worked per week, description of work and duties performed, and salary earned. If your application is incomplete, it will be REJECTED. *In order to receive credit for any certification or college or university course work, or any type of college or university degree, such as Bachelor's Degree or higher, you must include a legible copy of the Official Diploma, or Official Transcript(s)**, or Official Letter from the accredited institution which shows the area of specialization and the date the degree was awarded with Registrar's signature and/or school seal with your application online at the time of filing or within fifteen (15) calendar days from application submission to vangarcia@ph.lacounty.gov . **Official Transcript is defined as a transcript that bears the college seal and states "official and/or copy" issued by the school's Registrar Office. A printout of the transcript from the school's website is NOT considered official and, therefore, will NOT be accepted and may result in your application being incomplete and be rejected. NOTE: If you are unable to attach the required documents with your application online, you must e-mail them to mbecerra@ph.lacounty.gov within fifteen (15) calendar days from application submission. In the "Subject" of the e-mail please type the Exam Number and Exam Title. Please note that ALL information supplied by applicants and included in the application materials is subject to VERIFICATION at any point during the examination and hiring process, including after an appointment has been made. Applications may be rejected at any stage of the examination and selection process. Utilizing VERBIAGE from Class Specification(s) and/or Selection Requirements serving as your description of duties WILL NOT be sufficient to demonstrate that you meet the requirements. In doing so your applicationwill be dispositioned asINCOMPLETEandwill not be accepted. Please include your Social Security Number for record control purposes. Federallaw requires that all employed persons have a Social Security Number.